Help Tucker and Team 68 celebrate winning the 2014 National Snocross Pro Open Championship with this limited edition t-shirt. Only 200 shirts were printed! Is 68 your favorite snocross rider? 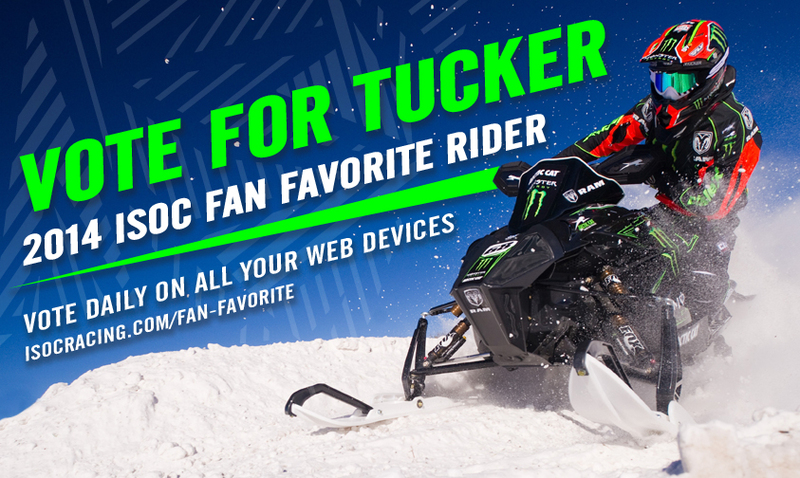 Then, vote for Tucker as the 2014 ISOC Fan Favorite Rider! He can’t win this trophy on his own – he needs your help. You can vote everyday on all your web devices (computer, smartphone, tablet computer, etc). Make sure voice heard and cast your vote daily! 3.16.14 – CONGRATS! Tucker’s fans stepped up in a big way and put in enough votes for him to win 2014 ISOC Fan Favorite Rider. Thank you for your support!